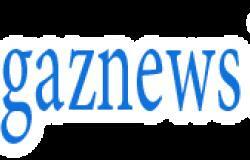 She come under fire from fans who claimed she ruined the ITV show. 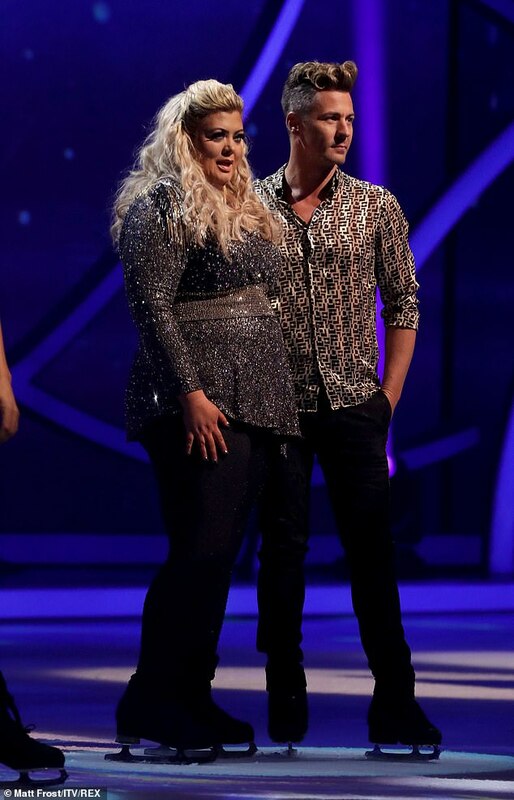 Yet Gemma Collins brushed off their nasty comments when she looked happy on the way to Dancing On Ice training after Matt Evers hit out at the Trolls on Wednesday. 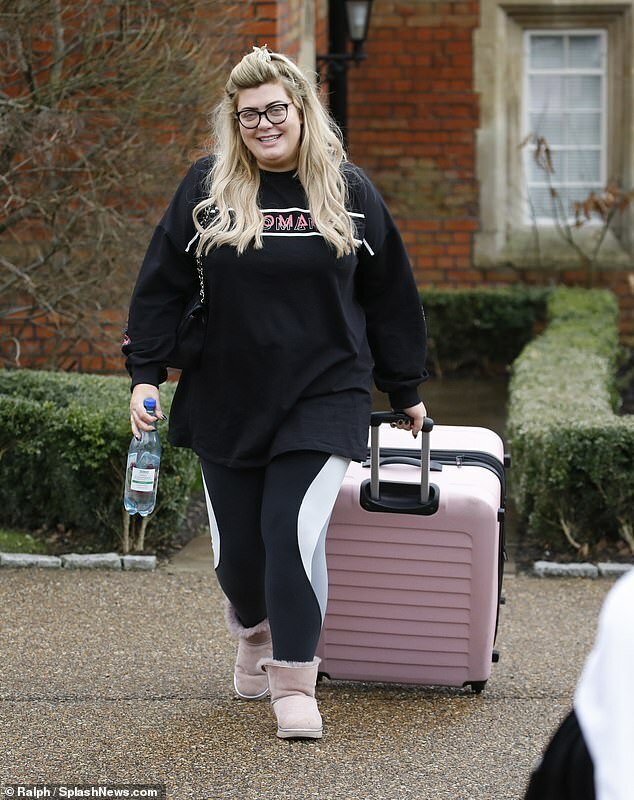 Despite suffering another fall on the ice rink, the 38-year-old reality star was raring to give it another go as she toted her suitcase jam-packed with her ice skating gear. 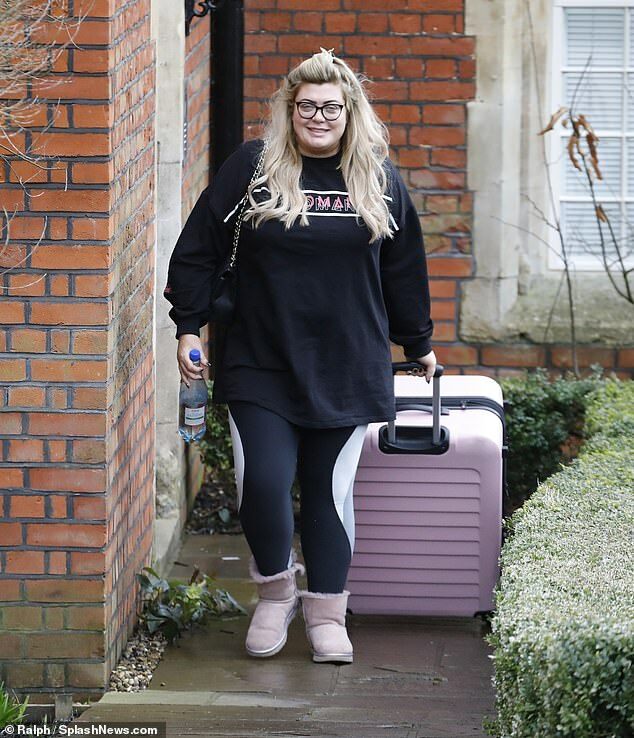 Completely dressed for comfort, the GC stepped out in a loose-fitted T-shirt and leggings as well as faux fur lined boots. 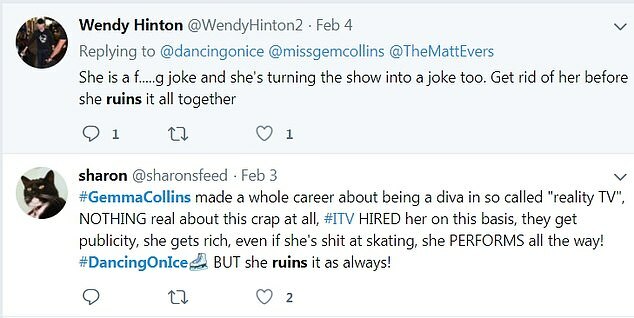 As Gemma headed to Dancing On Ice training, her skating partner Matt attacked online Trolls in an angry rant because they claimed the GC was ruining the show. The professional skater, 42, unleashed his wrath on Wednesday in response to a fan's comment which branded the bubbly blonde a 'self centered attention seeker'. 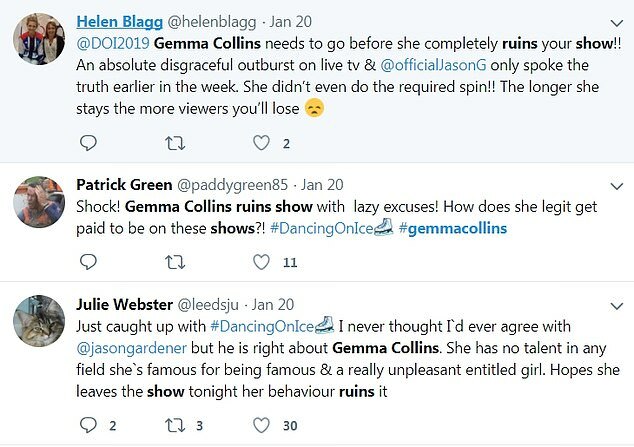 Dancing on Ice viewers laid into the GC as they branded her a 'self centered attention seeker' in a tirade against the bubbly personality. 'I’ve been an avid fan from series 1 and I honestly can’t stand this series due to her! All the judges are pathetic molly coddling the self centered attention seeker! Ruined a perfectly good show for me!' One fan wrote, leading the troops. 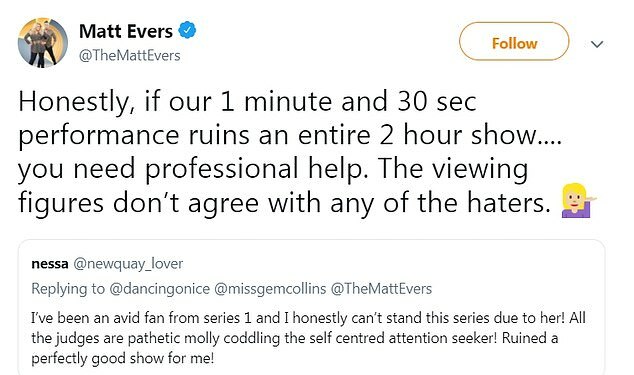 Although Matt directly responded this comment, social media was awash with furious fans that claimed Gemma ruined the skating show.